It was the fall of 2017, I had been working on my Reiki certification and I was watching my favorite channel GAIA TV. There are so many great shows on GAIA TV from yoga, metaphysical even alien and conspiracy shows. I found so many great movies and shows from people like Dr. Joe Dispenza and Neale Donald Walsh. This is where I watched What the Bleep and Conversations with God. 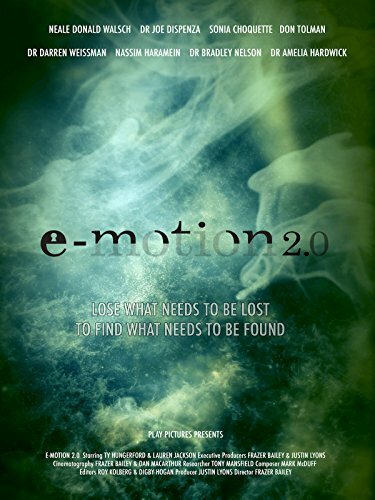 Then I found E-Motion the movie and first learned how trapped emotions shape our lives, moods and how we approach life. Watching the movie lead me to find Dr. Bradley Nelson and his book the Emotion Code. I searched and found his website Discovery Healing and then ordered his book on Amazon. I took a lot of notes while reading the Emotion Code and it made so much sense. I could relate to the fact that I've held on to emotions from negative past events without knowing it. What are memories but a replay of that trapped emotion from the past? Once I open to the fact I had trapped emotions I had to release, I wanted to find them. I started with basic muscle testing and using the Emotion Code Chart I was able to pinpoint some trapped emotions! I grabbed a magnet from my refrigerator and moved it over my head from my nose to the back of my skull. I could feel a tingly woosh of energy as my emotions were released! After the first time, I was hooked and continued releasing trapped emotions over the next year or so. In late 2018 I decided to become a Certified Emotion Code Practitioner. I paid to take the classes, test and then created a book of student and animal sessions. I had a dedicated mentor help me through the process but most of it was my work and study. I highly recommend becoming certified even if you aren't going to build a practice as I have. The book is a great place to start learning and there are some videos online. But the best way to learn is directly from Dr. Bradley Nelson and work with his team! I highly recommend watching E-Motion the movie and learn how releasing trapped emotions can change your life! Imagine a world where the trapped emotions, fears, anxieties and unprocessed life experiences we hold in our bodies are the source of everything that ails us. That’s the world we live in. Now imagine a world where everyone is manifesting from their heart the perfect creation that’s inside each of us. Imagine a world where abundance, inner peace, longevity, and loving relationships abound. Imagine emotion experts from around the world sharing their wisdom and negative emotion clearing techniques to light a new pathway for humanity. PrevPrevious Emotion Code PostWhat is the Emotion Code Chart? Join our tribe and find more happiness, health and abundance in life!